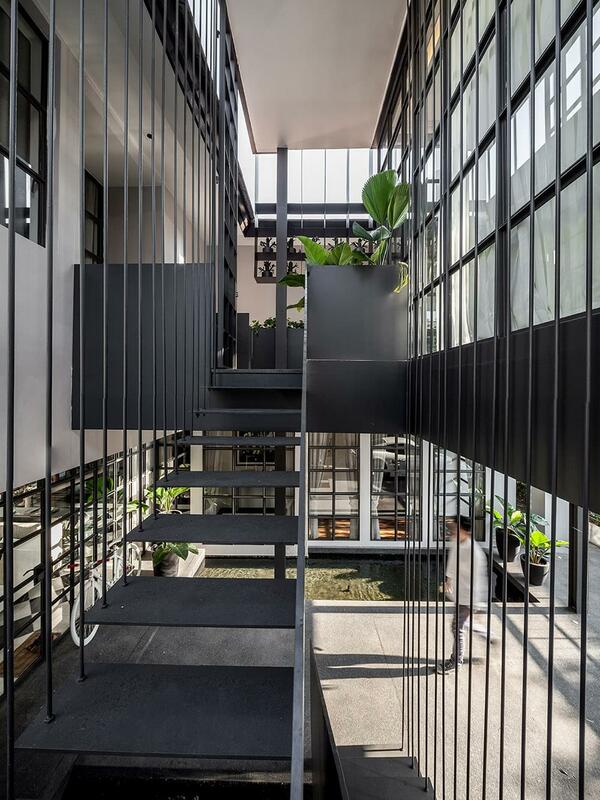 Located in the Ladprao neighbourhood in the northern part of Bangkok, Thailand, where housing prices are about half of those in the downtown area, the Flower Cage House enjoys a quieter residential scene but is connected to downtown by sky train in less than 30 minutes. 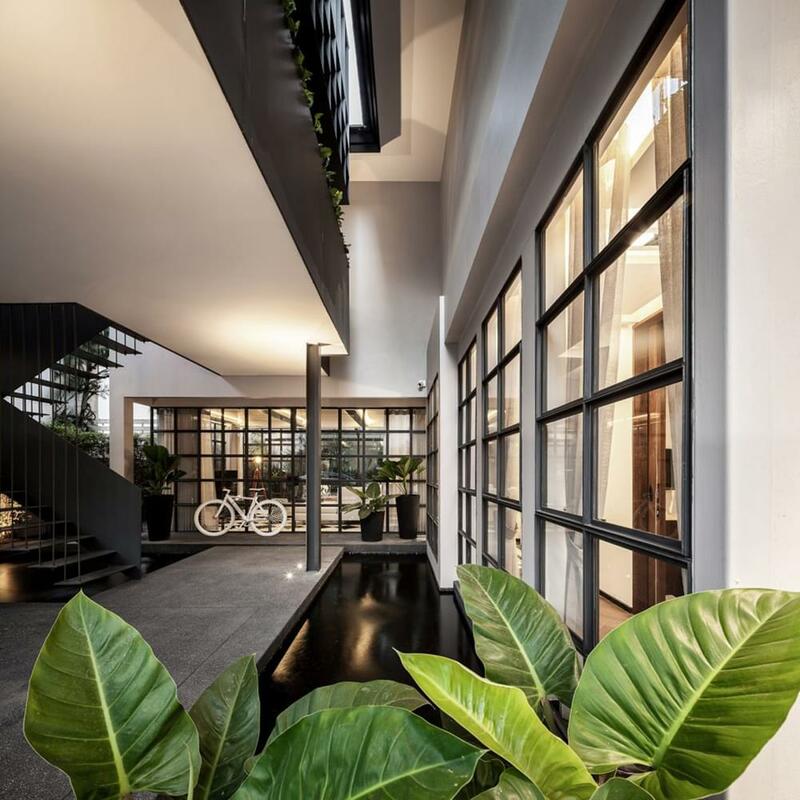 The owner, a local actor and DJ, wanted to transform the former housing estate building and the adjacent garage into a modern home for himself and his parents who visit him frequently. 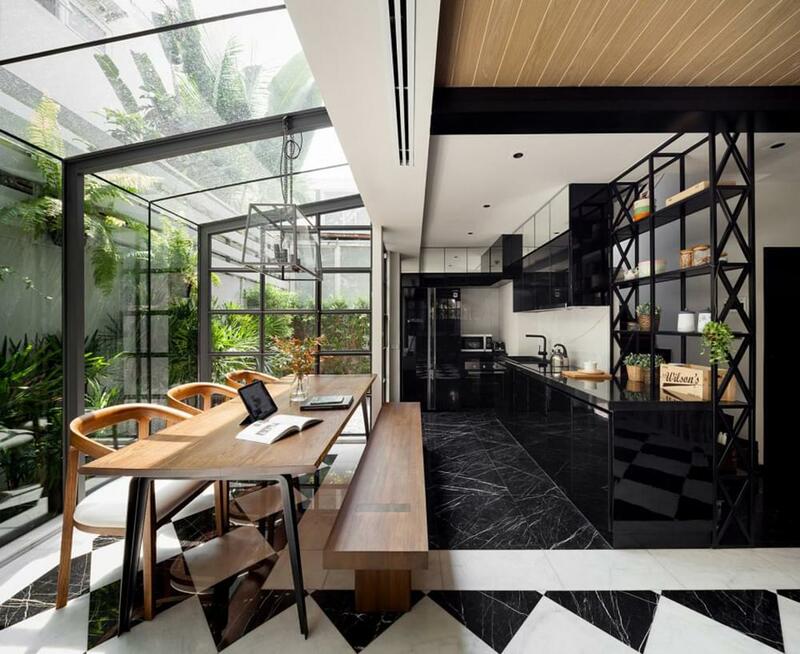 He engaged Bangkok-based Anonym Studio to realize his vision for a house that would be masculine and energetic, but also a gentle, green haven. 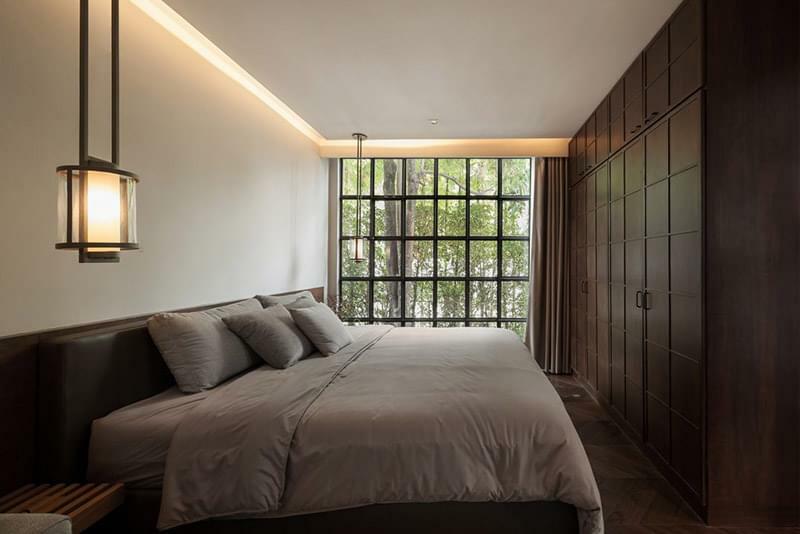 Anonym founders, architects Phongphat Ueasangkhomset and Parnduangjai Roojnawate, took a bold approach and transformed the nondescript and depressing 300-square meter (3,230 sq.ft) house into a true sanctuary. 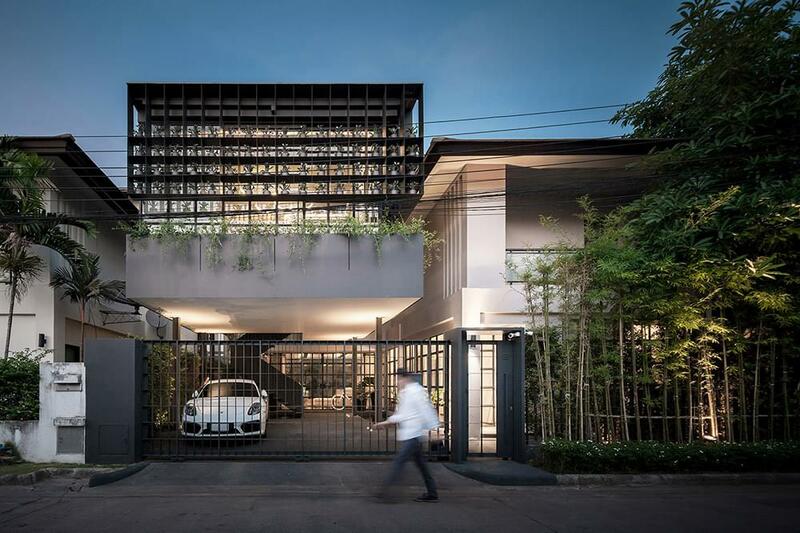 The key visual elements of the finished residence are the dark metal grids inside and out, and the presence of both real and man-made greenery. 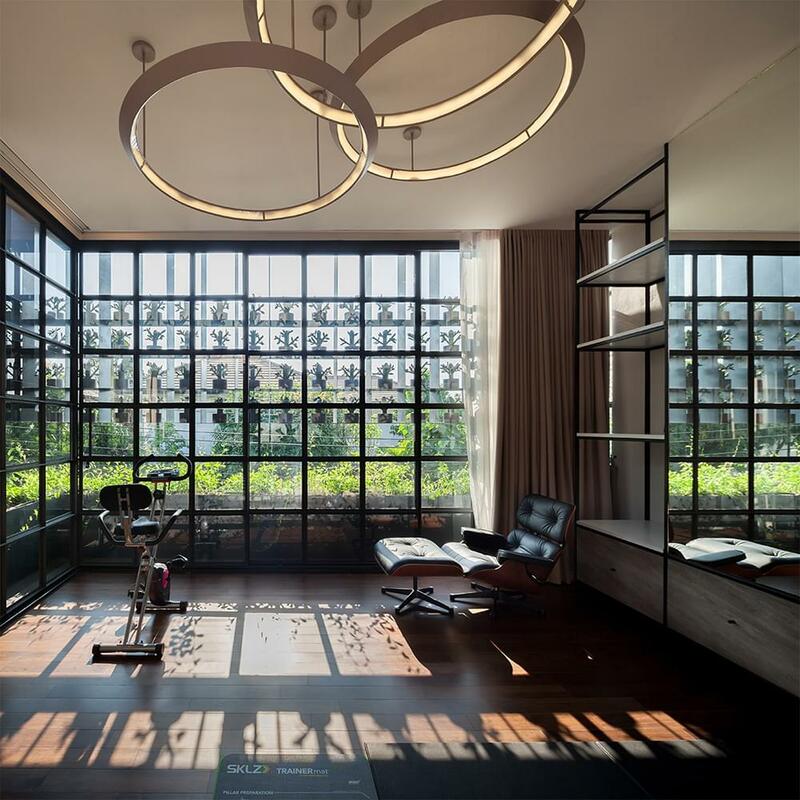 Even with the abundant use of metal, the home looks light and airy and the sightlines are clear and offer inviting peeks into the living spaces. The most unusual feature of the structure is the “flower cage” where well-known Gothenburg, Sweden-educated local ceramic artist Aor Sutthiprapha created 102 potted olive trees, the symbol of freedom. 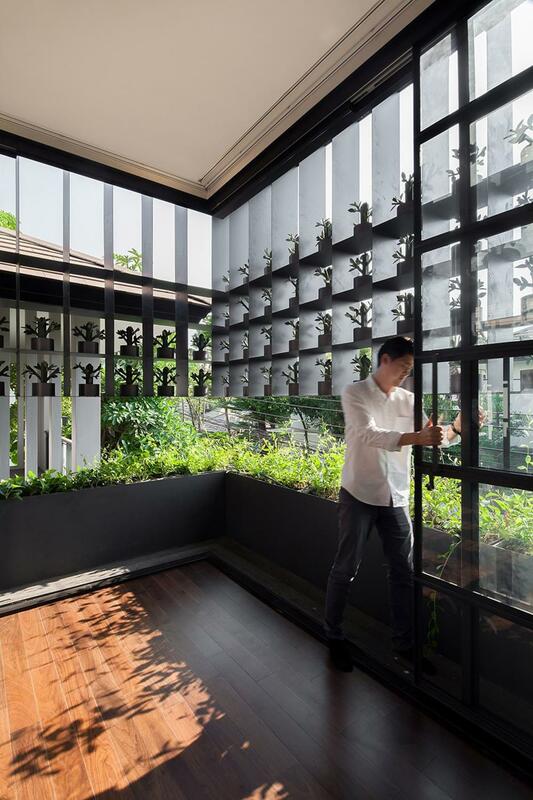 Phongphat Ueasangkhomset tells us that the ceramic plants are his favourite aspect of the project although they and the steel cage housing them were also the most demanding parts. 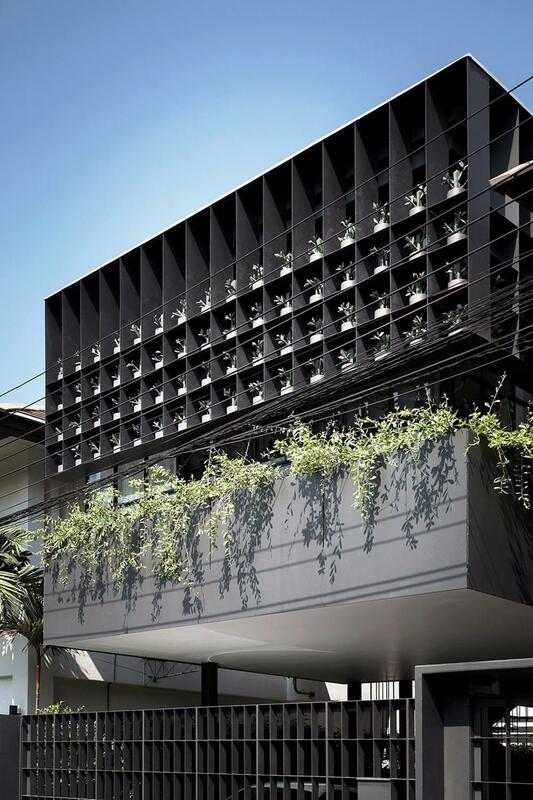 The existing house’s ground level includes the foyer, living area, two bedrooms, a bathroom, pantry and storage. There are also two parking spaces and a pond. A new steel-structured building was created over the existing garage and the new second-floor area now has a large multipurpose area. 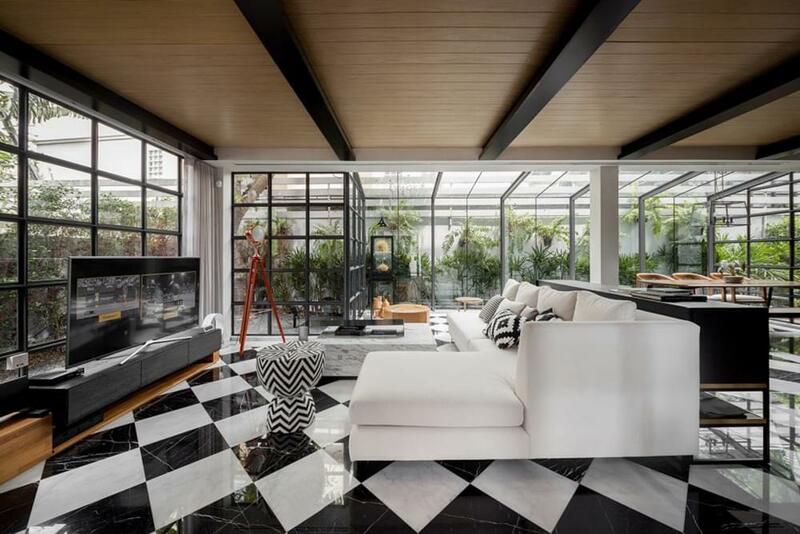 The designers took down all of the interior walls of the second floor of the existing house and created a private, personal penthouse with the master bedroom, lounge area, dressing room and in-suite bathroom.